UPDATE: Price dropped to $18,500. 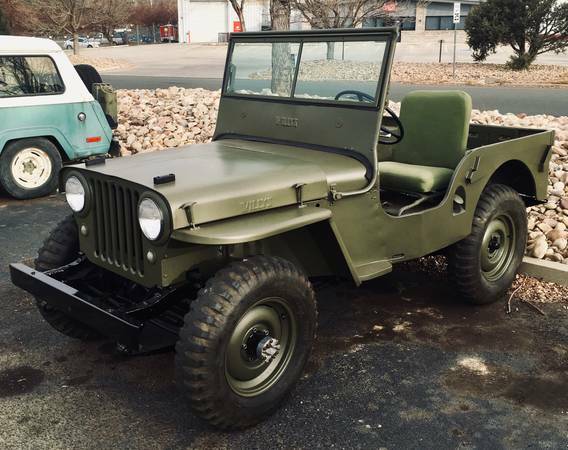 (01/12/2019) Matt is selling his CJ-2A. 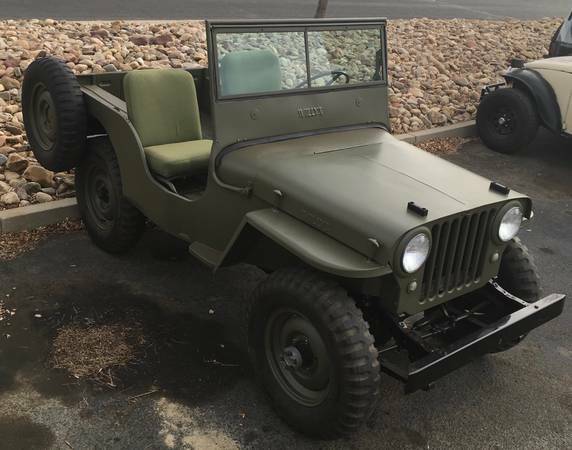 1947 Willy’s Jeep! 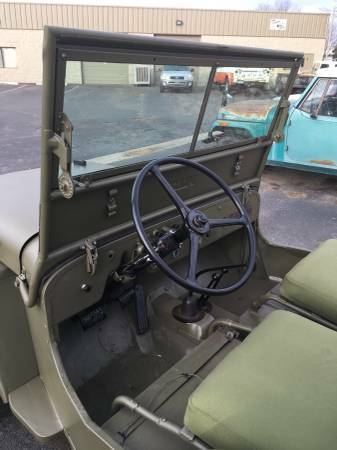 This jeep has been nearly completely rebuilt. Disassembled to have entire frame, tub(new chanels! 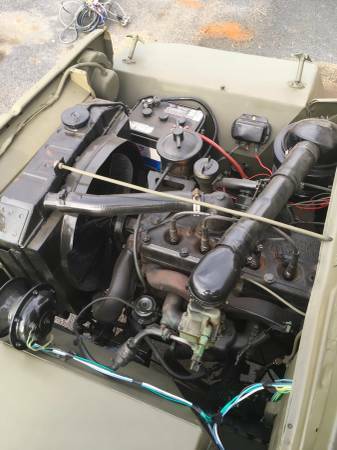 ), engine compartment, engine block (all components), new rims painted in simple, classic black & original Army olive drab. New seats covers. No crazy color schemes! Engine runs strong & looks clean & sharp. All new wiring & gauges. Lights, flashers & blinkers work. New windshield frame, glass & rubber. Has a horn as well. Lots of time, effort & $$$! put in to it, including the transmission being rebuilt. Can provide more specs to serious buyers. All reasonable offers considered. The right price will also allow for me to share in shipping costs, if needed. Will have a rebuild title. Serious buyers only, no low ballers & don’t need assistance selling it.